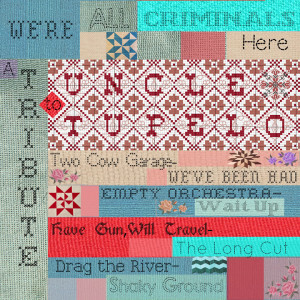 The folks over at Chapel Records have been working on a treat- a tribute to Uncle Tupelo featuring some of our favorite artists! Two Cow Garage, Have Gun Will Travel, Drag the River, and Empty Orchestra each play a classic Tupelo song. Check it out over on their website– they’re looking for interest to see if they should press this thing to vinyl so give them a shout. 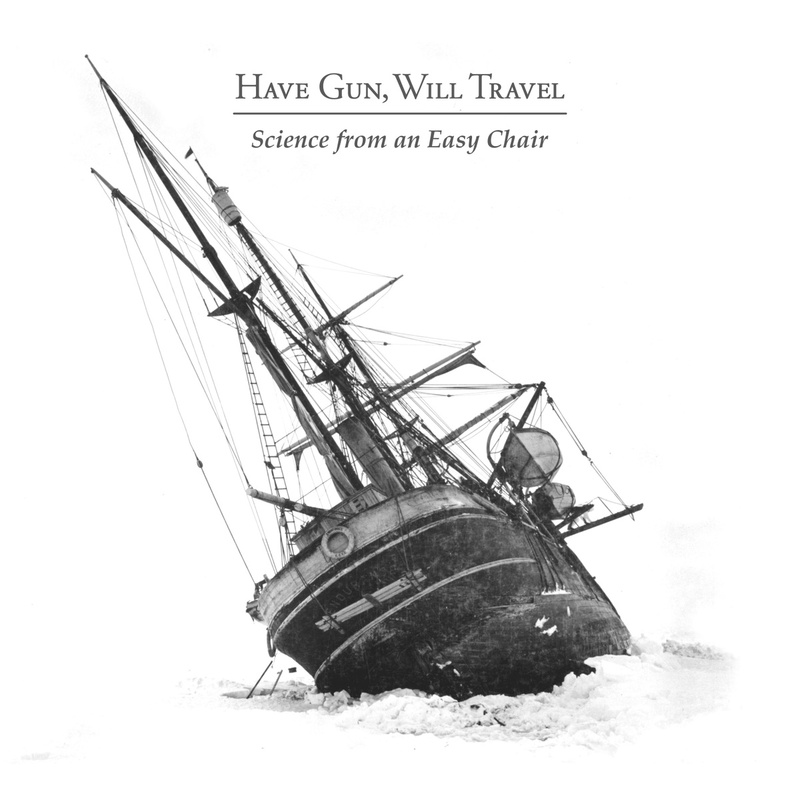 Have Gun, Will Travel is releasing their 5th album this month and in many ways it marks a new direction for the band. The album tells the story Ernest Shackleton’s ill fated Imperial Trans-Antarctic Expedition as detailed in the book Endurance. Trust me, when I hear the term “concept album” I cringe too. Usually they feel forced or fail miserably at telling the intended story. I am happy to say that Science From An Easy Chair does not suffer from either fate. The album’s lead single, “True Believers,” was the first song lead singer Matt Burke had written after take a year off from writing and at the time it wasn’t about Shackleton at all. The song was penned as a love song to his band that his wife said reminded her of Shackleton’s struggles in the ice pack a century earlier. Her comment sparked and idea for a 4-5 song concept idea that ultimately turned into the 12 track fully realized LP we have now. The album is roughly broken into 4 sections all separated by instrumentals that do a good job setting the mood for how their portion of the near 2 year journey feels. The sections are; the jubilation of setting off, getting caught in the pack ice and the ultimate sinking of Endurance, the struggles of living on the pack ice and finally (spoiler alert) rescue. So. How is this a reboot for the band? Well, gone are the familiar love songs to Florida. Gone are the covers of songs from the first EP that have been a recurring piece on the previous albums. In is outside production from the likes Shawn Kyle and with Shawn came a bigger rock and roll sound that really makes Science From An Easy Chair stand out from the bands previous works. By focusing an entire album on a single subject the band produced an album that they likely could not have ever made otherwise. This album feels tight. Concise. Focused and deliberate. There are no wasted notes, no throw away lyrics much less songs. I am proud to play this album for people here in Tennessee and tell them I know the guys who made this. I am proud that these guys are from Florida and own it. Boys, don’t call what you’re wearing an outfit and don’t tell people you’re from New Orleans. I am glad that they managed to make a concept album Essential Listening. The Return of Ninebullets Radio! WOOHOO! After 7 months of silence I am back in the saddle and ready to celebrate with a tidal wave of brand new music so let’s do this. Talk to y’all next month! Author Autopsy IVPosted on July 14, 2015 February 8, 2018 Categories Ninebullets Radio, PodcastTags americana, Chris Stapleton, Daniel Romano, David Mayfield, Eilen Jewell, Have Gun Will Travel, heathen sons, Merle Haggard, nashville, ninebullets, Scott H. Biram, The Steeldrivers, Tim Barry, Two Cow Garage, Whitey Morgan & The 78's, Willie Nelson11 Comments on The Return of Ninebullets Radio! Florida’s favorite sons, Have Gun, Will Travel, will be releasing their new album, Science From An Easy Chair, on July 31 via This Is American Music. The album is a concept album, based on British explorer Sir Ernest Shackleton and his Imperial Trans-Antarctic Expedition. “True Believers” is the lead single from the new album and while it is a song about the perseverance of the Endurance and her crew is also serves as a metaphor for the band. Enjoy and preorder the album here. This is American Music has announced the pre-order of Science From An Easy Chair by 9B favorites Have Gun, Will Travel. They’ve included a streaming track to whet our appetites, you know, just in case you don’t already trust HGWT and This is American Music. If you’re not jumping on this then I’m not sure I’m going to be buying you a beer next time I see you at a show! We did the damn thing. If you wanna hear it, put your ears on the archive of the show. Brand new Benjamin Booker, Gaslight Anthem, Justin Townes Earle and a Johnny Cash song you’ve likely never heard. Need I type more? Put your ears on the archive of the show. This show was a lot of fun to make. Lots of live music in it. So put your earholes on the archive of the show.